Join us Wednesday, September 13th for the Artist Reception during the Fall Arts Festival ArtWalk, 5-8pm. 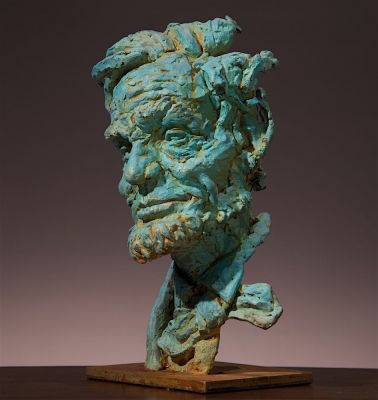 Greg Woodard uses a unique patina process that allows each edition its own color and texture. He has always valued experimentation and innovation in order to further his artistic growth. Each of his pieces tells a story; and he shows this through the interaction between human and animal, expressing how they are affected. 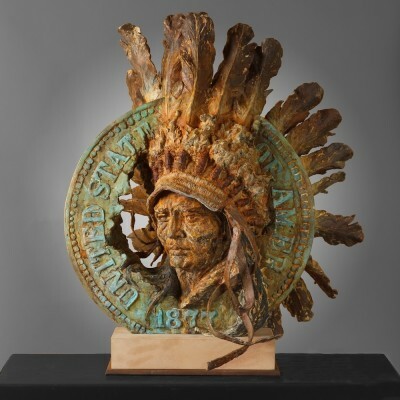 His work is steeped in rich symbolism, and the weathered texture of his sculptures belies his contemporary perspective on the history of the West. Greg Woodard was born in Prescott, Arizona in 1958. Though he took a few art classes in high school, he is largely self-taught. He began by carving decoys and went on to become a five-time Best of Show winner at the Ward World Competition, and the World Class winner in 1992 with a preening American kestrel. 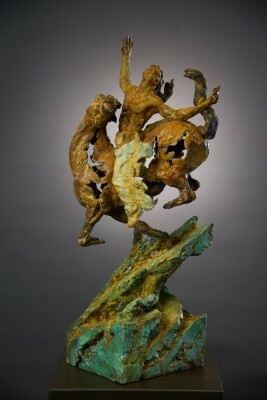 In 2000, he captured the World category in interpretive sculpture with a rendition of a prairie falcon chasing several swallows. To date, he is the only artist to have won both decorative and interpretive categories at the world level. Museum collections and public installations include the Ella Sharp Museum in Jackson, Michigan; the Ward Museum in Salisbury, Maryland; the Leigh Yawkey Woodson Art Museum in Wausau, Wisconsin; Union Depot in Ogden, Utah; and Verde Canyon Railroad in Clarkdale, Arizona. His work is featured in the book, Greg Woodard’s Art of Bird Sculpture by Kurt M. Robinette. Greg's work has appeared in national publications including Southwest Art Magazine, Western Art and Architecture and Western Art Collector Magazine.